Comprehensive mental and physical health care is the focus of a first-of-its-kind multidisciplinary collaboration at The University of Texas Health Science Center at Houston (UTHealth) that embeds mental health professionals into UT Physicians OB-GYN clinics to streamline care. 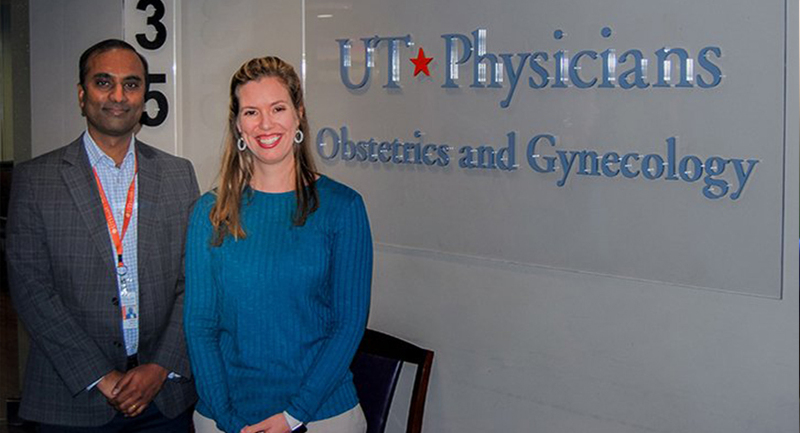 The UTHealth Women’s Mental Health Program simplifies the process for women to seek help for pre-pregnancy and postpartum depression, anxiety, and other mental health conditions by providing access to specialists in psychology and psychiatry in certain UT Physicians Women’s Centers. The initiative is a collaboration between the Department of Psychiatry and Behavioral Sciences and the Department of Obstetrics, Gynecology, and Reproductive Sciences at McGovern Medical School at UTHealth. The proximity that the partnership allows specialists to have with patients who need their care is an invaluable resource that will hopefully ensure more women receive the services they need, Selvaraj said. According to the Society for Maternal-Fetal Medicine, perinatal mood disorders are the most common complication of pregnancy, with a prevalence of 20 percent in the general population and up to 40 percent in vulnerable populations. The program is in line with the latest recommendations on optimal care that were jointly issued by the American College of Obstetricians and Gynecologists, the National Association of Nurse Practitioners in Women’s Health, and other groups in 2017, which called on obstetricians to integrate mental health services into the services for pregnant and postpartum women. To make an appointment at a UT Physicians Women’s Center, please contact 832-325-7131.